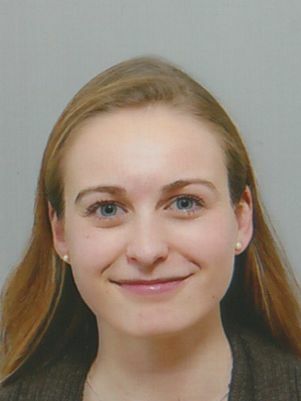 I am a PhD candidate in the group of Applied Geophysics and Petrophysics of the Department of Geoscience and Engineering from Delft University of Technology. My research focuses on the field data application of the Marchenko method. This method is completely data-driven and allows us to obtain Green’s function between any two points inside a medium, while only needing the reflection response at the acquisition surface and a smooth velocity model. The retrieved wavefields account for all orders of scattering inside the medium and allow us to image or redatum while correctly handling the internal multiples. This is useful in situations where a complex overburden hinders accurate imaging of the reservoir below. For example, we successfully predicted and removed internal multiples from 2D and 3D field data of the Santos basin in Brazil (see here and here). We also defined a range of imaging conditions that make optimal use of the wavefields retrieved by solving the coupled Marchenko equations (see here). In addition, we developed a monitoring strategy that allows us to model and replace the target zone to simulate its changes over time (see here). Lastly, we studied the inclusion of surface-related multiples in the Marchenko scheme (here and here). Next to my research, I assisted in creating an online course for the Applied Geophysics MSc students. This year, I participated in the AAPG Imperial Barrel Award (Europe Region). Also, I am currently the Vice President of the Delft Organization of Geophysics Students (DOGS). We organize a broad range of activities, such as monthly social drinks, company visits and lectures. Our aim is to prepare our students for a successful career by not only developing their academic skills, but also boosting their personal development and growing their network. In addition, we aim to bring our students and the industry closer together, which has resulted in many successful collaborations. We plan to also start an education program for high school children in which we promote earth sciences. In the past years, our efforts were recognized by receiving summit chapter status from the SEG. Since this year, we are also an EAGE chapter. In my spare time, I love to dance (ballet and modern dance) and cook. During holidays, I love to travel and learn from other cultures. Wherever I go, I try to familiarize myself with local traditions and I try to learn the local language. As a result, I speak German, French and (Brazilian) Portuguese, apart from my native language (Dutch) and English. I am currently learning Italian and I am looking forward to start a course in musical production. Staring, M., Pereira, R., Douma, H., van der Neut, J., and Wapenaar, K. (2018). Source-receiver Marchenko redatuming on field data using an adaptive double-focusing method: Geophysics (under revision). Staring, M., van der Neut, J., and Wapenaar, K. (2018). Marchenko redatuming by adaptive double-focusing on 2D and 3D field data of the Santos basin, 88th annual SEG meeting, Anaheim, CA, USA. Wapenaar, K. & Staring, M. (2017). Marchenko-based target replacement, accounting for all orders of multiple reflections. Journal of Geophysical Research: Solid Earth. van der Neut, J., Brackenhoff, J., Staring, M., Zhang, L., de Ridder, S., Slob, E. C., & Wapenaar, K., 2018, Single-and Double-Sided Marchenko Imaging Conditions in Acoustic Media. IEEE Transactions on Computational Imaging, 4(1), 160-171. Staring, M., Pereira, R., Douma, H., van der Neut, J., and Wapenaar, K., 2017, Adaptive double-focusing method for source-receiver Marchenko redatuming on field data, 87th annual SEG meeting, Houston, TX, USA. Staring, M., Pereira, R., Douma, H., van der Neut, J., and Wapenaar, K., 2017, An adaptive method for source-receiver Marchenko redatuming, The fifteenth international congress of the Brazilian Geophysical Society, Rio de Janeiro, SBGf. Staring, M., van der Neut, J., Grobbe, N., and Wapenaar, K., 2017, Sparse inversion for solving the coupled Marchenko equations including free-surface multiples, 79th annual EAGE meeting, Paris, France. Staring, M., van der Neut, J., and Wapenaar, K., 2016, An interferometric interpretation of Marchenko redatuming including free-surface multiples, 86th annual SEG meeting, Dallas, TX, USA.